Using incontinence bed pads can be a great way to help in reducing accidents for a loved one suffering from incontinence. Sometimes, diapers and other types of products that they can wear do not offer the full protection that is required. Having to change the linen on a bed is a problem if these products fail. There are some additional products that you can purchase that will help your loved one protect their bedding if their incontinence wear fails. Incontinence pads are great products for this purpose and can help you protect a bed mattress or other sleeping surface. When you have a bed mattress or another type of sleeping surface, liquids and other materials can damage them and make sleeping in them into an unsanitary experience. It is very important to have some sort of product that protects against accidents that are associated with incontinence. Incontinence is a very difficult thing to deal with. It can cause a person a great deal of discomfort and lead to situations that are highly unsanitary in nature. Thankfully, adult diapers and other incontinence products can help. Incontinence bed pads are very important for your elderly loved ones because they provide an additional layer of security and comfort for their bedding. When a person urinates or soils themselves, it often can go through a diaper and damage the linen and bedding. A pad, however, will generate an extra layer of security that will keep them comfortable and safe. There are many different types of pads. Some have an elastic band that allows them to fold over the edges of a bed. Others are disposable and can be used just once to make sure that your bedding stays safe and sanitary. The first type of incontinence pad that you can buy is used more than once. It can be washed with cloth diapers and is used to protect a mattress or other type of bedding. When a person wets or soils the bed in an overnight accident, this type of incontinence bed pad will help you make sure that your bed stays protected. The padding will appear fresh and new after it is stuck in the wash. These will be placed beneath the sheets against the mattress of your bed. They are very important, especially if you have purchased an expensive and comfortable mattress. These types of padding are very discreet. Your loved one will not notice that they are sleeping on it and people who happen to venture into your loved one’s room by accident will not notice it if it is placed in between the sheets and the bed. Another type of incontinence protective pad for a person’s bed is disposable. These are often more affordable than the washable pads because they are made out of cheaper materials. They may consist of the same materials that are used in the absorbent core of adult diapers. These types of pads are useful because they can be thrown away after they are dirtied. These types of pads are effective because they are sanitary and keep your loved one’s bed safe. An incontinence pad is not a sign to your loved one that they have a problem. 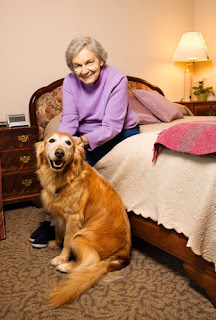 It is a sign that you want them to be safe and secure in their bed at night when care personnel cannot help them with their incontinence problems. A person’s incontinence needs are very important and need to be responded to at the earliest possible convenience. Adult diapers are one means of protection. Another type of protection involves these pads that are useful for protecting against accidents that extend outside the diaper. They will keep your expensive mattresses and bedding safe in case of an accident that goes beyond the ability of a diaper to protect.